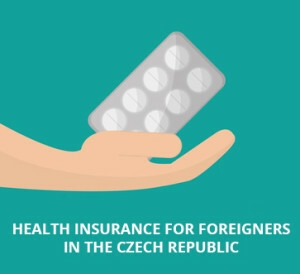 Health insurance for foreigners is one of the requirements for obtaining Visa in the Czech Republic. Unfortunately, we do not receive clear information from the insurance brokers about the health insurance itself, or the terms and conditions. This is why most of the foreigners moving to the Czech Republic face troubles when they need to insure themselves. Today, we would like to change that and inform you about Slavia insurance company, which is one of the oldest insurance institutions in the Czech Republic. They provide, due to client’s references, very advantageous health insurance for foreigners. What types of health insurance does Slavia insurance offer? In terms of health insurance we distinguish two products: Comprehensive health insurance and Acute and emergency health insurance. Comprehensive health insurance is usually more expensive and appropriate for long term Visa purposes. If you intend to stay more than 90 days on the territory of Czech Republic, then do not risk, and pay more for better services. 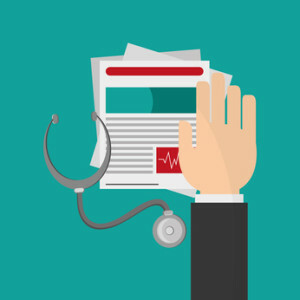 This health insurance type doesn’t only include basic health care but also preventive check-ups at the doctor and it has much higher insurance limits. It also covers medical examination in case of some less serious health problems like for example influenza. On the contrary, Acute and emergency health care is the simplest and cheapest basic type, which will cover you only in the urgent cases, when medical help is necessary. This type is appropriate for a short term Visa, ideally for the period less than 90 days. Which contracted facilities does health insurance for foreigners Slavia include? Slavia insurance company cooperates almost with every big hospital in all major cities like: Prague, Brno, České Budějovice, Olomouc and many others. From those best known hospitals we can name for example: Fakultní nemocnice v Motole, Thomayerova nemocnice, Poliklinika Zahradníkova, or Fakultní nemocnice v Olomouci. In the contracted facilities you will identify yourself with your insurance card and all provided medical care will be covered by the insurance company, in the limits which are defined in the general terms and conditions. If you happen to be too far from the contracted facility, you can also approach any other hospital or doctor in your neighborhood. Then you will just need to save all confirmations of payment and medical reports given to you and present them at the insurance company for the reimbursement. At this moment, Slavia insurance company has the second biggest network in the health insurance area. Which documents do I need to arrange the health insurance for foreigners at Slavia insurance company? The most important are your passport details. When arranging a health insurance contract, Slavia needs to state your name, date of birth, passport number, state which issued the passport, your address and also your contact information in case there are some problems and the company need to contact you. Also it is very important to know the exact date of the commencement of insurance since the health insurance contact is closed for a stated period and it is not possible to make a contract without knowing when it will start. If you buy health insurance online, it is not necessary to sign the documents as they already contain an electronical stamp and signature from the insurance company. Also there is no need to come personally, you can just send your passport details to the stated insurance branch via email. How can I arrange the health insurance for foreigners SLAVIA and where? Health insurance can be arranged in any of our insurance branches, or even directly from your home. Online application will not take more than 5 minutes of your time and it will certainly not cause you any difficulties. In the health insurance calculator type out your age, type of stay, insurance period and at the end the calculator will show you prices for all offered insurance products. Then just choose the appropriate product (Comprehensive health insurance or Acute and emergency health care) and fill in the form with your personal details. As a result you will receive the draft of the contract and payment information to your email. After the payment, all needed insurance documents and health insurance card will be sent to your email (it is also possible to ask for a postal delivery). When applying for insurance online, there is a big advantage compared to buying the insurance „on the street“. Many times it happens that the insurance brokers cooperating with the Slavia insurance company don’t pass your insurance contract to Slavia and misappropriate the client’s money. Finally the client finds out when it is too late and he has an uninsured event. However Slavia’s online negotiating system which is connected directly to the company, makes this completely impossible to happen. After completing the draft of the insurance contract, you are given a two week period for the payment. Even if the health insurance would start the next day, you can complete the payment process later. The only thing, which you should bear in mind, is that health insurance is valid from the day when it is paid. That means that if you happen to have an insured event but the insurance still isn’t paid, the insurance company is not obliged to reimburse you anything. The payment for the health insurance can be done in the branch where you were applying. The insurance, or via credit card or bank transfer. In the online application you will receive an email with the payment information where you can directly complete the payment. If the transaction is successful, you will get a confirmation mail from the insurance company and all the insurance documents. After the payment you will be provided with an insurance contract with the stated date of the commencement and end date of the insurance. Then you will get a confirmation of your health insurance payment and a health insurance card. Before the purchase you will already have general terms and conditions of your chosen health insurance and a list with contracted facilities. For the Visa purposes, you will need to demonstrate the electronically signed insurance contract, which serves as a proof that you are insured on the territory of Czech Republic, and show the proof of paying for the insurance (confirmation of payment). The Insurance card is for your personal use, since you will need to show it in the contracted facilities. Other institutions which might require a health insurance are Police of the Czech Republic or the Asylum department of the Ministry of the Interior. What to do in an insured event? If you will urgently need to get to the hospital or to arrange a preventive check-up at your doctor, do not worry that Slavia insurance company will not help you with your problem. On your insurance card there is a phone number of the company’s assistance service, which you contact if you will need help, will have any difficulties or you won’t be sure if your health problem is covered by the bought health insurance. In case of the language barrier, it is also possible to arrange you the meeting at the doctor beforehand. 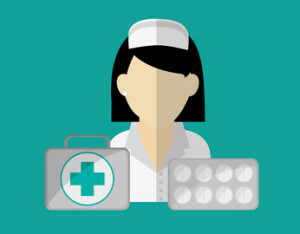 If you already went to the contracted facility but had to pay there anyway for the service and medicine, save the doctor’s prescription to you (medical reports, prescription, confirmation of payments etc.). These documents will be presented along with the filled „Notification of an insured event” form. In order to receive the reimbursement, the form should be filled with your contract details and bank account data. The insurance company will be dealing with your request within 2-3 months and after its approval you will receive the reimbursement to your bank account. What about payment for medication? The prescripted medicine is covered at a maximum of 5000,- Kc in the Comprehensive health insurance for foreigners SLAVIA and 3000,- Kc in the Acute and emergency health care SLAVIA. To this limit medicine will be covered by the Slavia insurance company, but it is always necessary to present the prescription from the doctor and the bill from the pharmacy (Both documents must be original – no copies). Within the dental care from Slavia insurance company only urgent diseases are covered, which are listed on the last page of the general terms and conditions of your insurance. Among them are for example dental decay treatment, tooth extraction or X-ray examination. The maximum of the dental care is 5000,-Kc for Comprehensive health insurance, or 3000,-Kc in the Acute and emergency health care insurance. When is the health insurance from SLAVIA invalid? 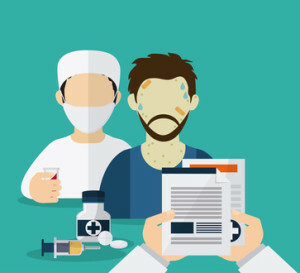 You are not covered by the health insurance if your health problem is stated in the Exclusions of the Health insurance (see General Terms and Conditions). Among those cases are for example viral hepatitis treatment or venereal diseases and AIDS including their complications. You also do not have the right to the indemnity, if the insured event was caused as a result of or in connection with disturbances or criminal activities, or if it occurred due to the practice of adrenaline sports. The most important thing is of course the payment of the insurance, since as we have already written, the health insurance is valid from the day it is paid. How can I cancel the health insurance for foreigners? There are several ways to cancel the arranged health insurance and received partial refund. For example if you realized that the bought insurance does not fit you, or you do not even need it. Then you can fill in the cancelation form within 2 months from the insurance application without stating any reason for it. You will be refunded the full amount of money you paid minus the costs of the insurance company. If your health insurance has already started, you will be refunded the rest of the insurance payment minus the costs of the insurance company. It can also happen to you that you will need to transfer yourself into the Czech public insurance system and terminate the commercial insurance you have. In this case you will need to present official proof of your transfer and filled cancelation form at the Slavia insurance company, and the rest of the money will be also refunded to you. And finally, if your Visa request was rejected and you will not even come to Czech Republic, it is also necessary to present official proof at the insurance company, and you will be refunded the full amount of money and your contract terminated. It is important to add that the whole termination process is not immediate but takes about 2-3 months. When terminating the insurance it is also important that the validity of the insurance contract is checked on its beginning and during the duration of the insurance by the Police of Czech Republic. 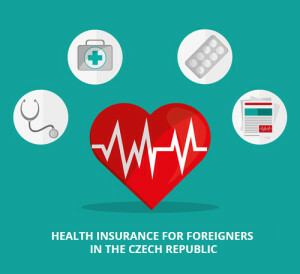 Due to the Law about the Foreigners Health Insurance, the Police of the Czech Republic has access to information about all health insurance contracts in Czech Republic.